Every Apex is different, but there are some activities that are pretty much ALWAYS there and we wouldn't want it any other way. 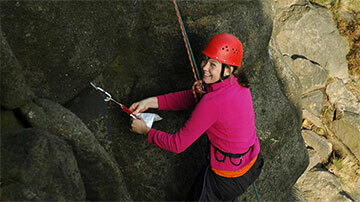 If there are crags you'll be rock climbing or abseiling, or maybe both. Perhaps a spot of weaselling too. If there's water, chances are you'll be out on a boat in the middle of it. You'll probably find yourself hurtling around doing some extreme mountain biking and there's often some rifle shooting, archery and even pistol shooting to show off your target-hitting skills as well. You never know what you're going to find during the weekend, but a quick look at the map and you can often have a pretty good guess and these big hitting A-list activities are always winners and not to be missed.